Several readers have asked how to punish their dog without feeling bad or how to punish a dog. Let me say this: you NEVER PUNISH A DOG. Unless your dog is some kind of embezzler or con artist involving large sums of other people’s money you just don’t do that. In Dog Training you are trying to get the dog to behave as a good family member, following some basic rules of obedience. What you do when a dog does something that is not part of your dog behavior rules is correct that behavior. So correcting a dog is your goal. Teach the dog what is acceptable and what is not acceptable. Correcting a dog should be done with compassion. You are teaching the dog the right way to behave so he can be a part of your family and be included in your family events. Correcting a dog is about communicating with your dog in a productive way. You can be firm and in his face if necessary, but never hurt the dog (which punishing implies). Not all correction has to be positive to be productive. Telling your dog “no”, or “leave-it” with a tug on the collar as he’s about to eat trash is negative reinforcement used in a productive manner. You will want to add some positive reinforcement into your training routine and every day interaction with your dog. Telling your dog “that’s right” in a fairly calm voice when he does something you want lets your dog know he’s doing well. Communicating with your dog is somewhat like communicating with a friend. If your friend does something you don’t like you say so. “Jason, please walk over there, not on my feet.” You wouldn’t haul off and hit him or punish him by not talking to him for a week. You’d communicate. Do the same with your dog. If you are walking your dog you might want him a bit closer. No punishment needed. A dog wants to wander so he’s just doing what comes natural for a dog. It is your job to communicate. Keep it simple with a dog and say “Fido, Close.” Then give him a leash tug so he knows you want him closer. Easy! If you ever hear yourself saying the words punish and dog in the same sentence or paragraph, remember, your job is to correct the dog’s behavior; to communicate with your dog to get him to understand what you expect of him. YES!!! Cha-ching$. A barking dog is a nusiance to neighbors and maybe even you. 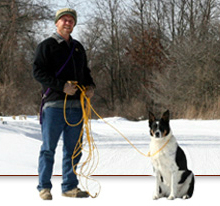 Craig Mixon has written an entire website devoted to dog barking called barkingdog.net. There is a section (three) on laws about dog barking and it is very technical in my opinion. If you want to study this check it out. If your neighbor accuses your dog of being a nuisance, then it is going to cost you time and trouble to take care of it. 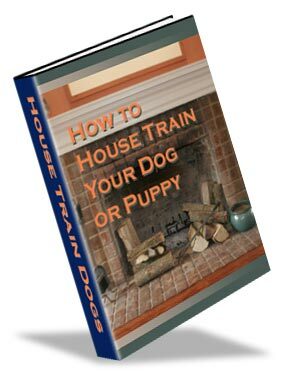 Better to train your dog not to bark so much or bring him in the house and give him some attention. He’s probably bored if he’s alone in his yard. It is simple enough to fix a lonely dog barking problem by changing your dog’s circumstances. Don’t leave your dog alone in the yard for such long periods of time. Spend time with your dog and give him obedience training on a regular basis. This gives your dog purpose, a job to do and makes him an involved member of your family with a purpose in life. AT&T has partnered with Apisphere, a location-tracking specialist to create a dog collar that has an embedded SIM card so that you will no longer lose your beloved pet ever again. Pet owners simply have to put on the collar to their dogs and set up a fence that will enable alert whenever your dog goes far. You can easily track your dog by using a software. Since this is utilizing a SIM technology, there is a list of contacts that can be notified whenever your dog has gone away. “There are few things as important to my daughter as knowing the whereabouts of our dog. The peace of mind that a wirelessly connected collar will bring my family and pet owners across the country is long overdue,” said president of AT&T’s Emerging Devices division, Glenn Lurie. This smart dog collar will be available on the later part of the year. Persistent and uncontrolled barking is totally annoying to you and your neighbors. If you want to take control of a dog barking situation you’ll need to first understand what is causing your dog to bark excessively. It shouldn’t be too hard. 1. He’s being a good watch dog and alerting you that there is a stranger near your property. 2. He’s barking because he see another dog nearby and is either being territorial or wants to play with it. 4. He’s in the house and wants your attention for play or a treat or to go outside. It is a natural behavior for your dog to bark because he’s being a good watch dog. Seeing a stranger near your house, your dog is sending out a warning to you about an intruder nearby. Most people are OK with this behavior up to a point. Once your dog signals to you by barking that an intruder is near, it would be nice if you could tell him to be quiet and that it is OK for now. If he doesn’t stop barking when you want him to this is a problem. Some dogs bark for your attention. Since getting your attention is their reward for barking, this problem can spiral out of control. You can’t keep ignoring the barking but when you go see what the trouble is you’ve rewarded your dog for barking. Probably one of the most common reasons for dogs to bark a lot is that they a really bored out of their minds and very frustrated that no one is paying any attention to them. Barking can be a stress reliever for them and it expends energy. If your dog is lonely and starts barking, you run outside to get him to stop and for just an instance your dog is happy to see you, has some company and is not alone, so you’ve effectively rewarded him for barking. Even if you scold him he’d rather have you around (and not be lonely) nagging him, then all alone, bored and frustrated. If you leave your dog alone too much, even nagging and reprimands can seem like a positive experience compared to the frustration and loneliness of isolation. At the emergency room of San Juan Regional Medical Center, a German Shepherd mix with blood on his nose and paw walked in. The dog also had a small puncture wound on one of his rear legs. The dog was taken to the Farmington Animal Shelter where he was vaccinated. Peter Jake, who works at the center said that the dog was doing fine and the injury was minor. He appears to have been bitten my another dog. The owner saw the picture of Scottie and they are now reunited. Getting a dog a few years ago opened my eyes to just how unfriendly the Midwest (USA) is to people with dogs. Somehow I thought that I’d be able to walk my dog, off leash, just about everywhere, especially in places like forests and beaches. Big surprise! Dogs must be on a 6 foot leash every where I go. Or worse: No Dogs Allowed. Well I’m going to post every good looking dog friendly place I run across on this website and the facebook page. Please feel free to leave a comment about dog friendly places you’ve discovered and want to share with dog lovers around the world. Here is one I just discovered in North Carolina. And I’ve copied a few testimonials for you from dog owners who visited the place. Blue Ridge Cozy Cabin, near Hendersonville, NC. 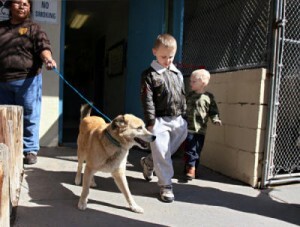 I like that you allow pets, letting dog outside without leash. Liked the adequately equipped kitchen. I loved the flowers and especially their scent. It is a beautiful setting and exactly what I needed as a base for hiking with my dog. Thanks for everything. Maribeth; North Carolina; November, 2009. We liked the peace & quiet. 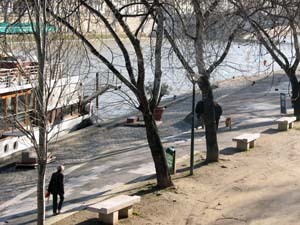 The location was central to surrounding areas. DuPont Forest does appear to be very neat – fishing, swimming, etc. The cabin was very nice and had everything we needed – thanks so much! Shorty, our dog, loved laying in his bed next to the warmth of the fireplace. Doug and Cindy; South Carolina; January, 2010. In dog training you can use positive and negative reinforcement to get your dog to behave well. Positive reinforcement for good behavior may be praise, a treat, pat on the head or a clicker. The dog learns to associate his actions (good behavior) with the reward so he gets conditioned to do what you want. Negative reinforcement in dog training can be called a correction. Some dog training methods only recommend using positive reinforcement. Using corrections can speed up the training process because your dog doesn’t need to guess what he did wrong; you just need to learn an effective way to communicate his mis-guided behavior to him. Constant reward for good behavior can backfire. If every time your dog gets a reward for good behavior you are teaching him how to get a reward. Stop doling out the rewards and the (good) behavior stops, sometimes. That is why it is important not to give a reward, especially food, every time your dog does something good. Corrections let your dog know that some specific behavior in not desired by you and that the consequences might even be unpleasant if he continues to do them. 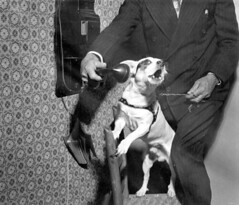 It helps get the point across sooner than later and improves communication with your dog. Here’s an analogy that you might relate to. Let’s say you work for some boss that gives you a performance review each year. You are a pretty good worker but you are interested in doing even a better job than you already do. Heck, maybe you even want a promotion. Now you are sitting in your PR and your boss says your doing great, just keep up the good work. Nice. Ugh. But you know that you are not perfect and you have absolutely no clue of what you could do to get your next promotion. No one has offered any corrections to your work so how can you improve? Think about your dog. Your dog is just being a dog with his own dog thoughts about what’s right. So when he jumps on you because he’s excited to see you can immediately tell him no jump and knock him in the chest with your knees (or gently step on his toes if he’s little) to get the point across right away. You’re correcting his behavior, not punishing him. The unpleasant response to his jumping will get him off you quickly. Every dog training situation will have many possible correction opportunities that you can use to improve communication with your dog. It all depends on your situation. You can find a dog training course that shows you how to implement a correction correctly while dog training to speed up the training process. The goal of dog training is to get your dog to be a disciplined and respectful member of your family and to learn how to and improve communication with your dog. This dog training resource is recommended because it follows the method of using both positive response and corrections to communicate the desired behavior to the dog. Recommendations – Try This Out! There are many decent dog training products available. One that uses corrections and praise is what we recommend. 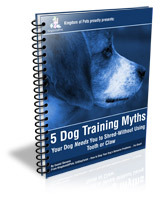 You can download this ebook that will give you an overview of an extremely high quality dog training coure by clicking the image and saving to your computer. No email required. Royal girlfriend Kate Middleton had to dig through her dog’s poop after her cocker spaniel ate a pair of pricey pearl earring that Prince William gave her. Kate just loved the antique studs that the Prince gave her for her 28th birthday. Middleton suspected that Otto was the one who chewed the earrings. She walked her dog a couple of times daily in the hope of getting back the studs. Eventually Otto let it out but the earrings were beyond repair. The prince offered to buy Kate a new pair. Ambassadors for Dogs is visiting Paris. We’re taking a few pictures of the dogs here to share with you. 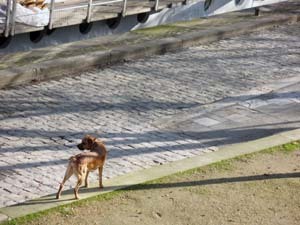 This dog walks along the Siene without a leash having a great day. 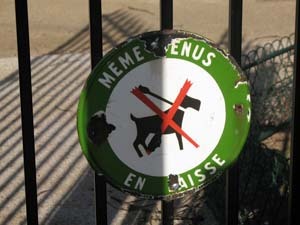 In the garden behind Notre Dame your dog cannot be on a leash (I think). 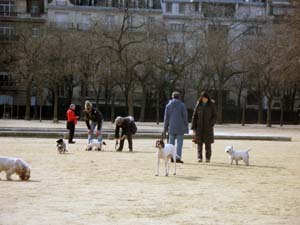 Some dogs play in an open area near the Eiffel Tower.